Ms. Lindsley joined the workers’ compensation litigation team at Bugbee & Conkle in 2016 and is proud to be a part of the downtown Toledo culture. Ms. Lindsley received an Associate’s Degree in Paralegal Studies from Stautzenberger College in 2013. 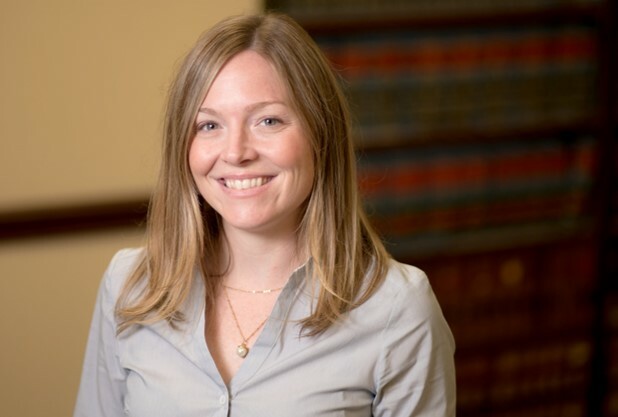 Prior to joining Bugbee & Conkle, she worked in the areas of business organization, estate planning, and real estate law as a paralegal. Ms. Lindsley is also currently pursuing a Bachelor’s Degree in Literature at the University of Toledo. Her interests include art, literature, playing music, biking and spending time with her pug, Diego.